From NYS Thruway Exit 23, take Route 9W north. Turn left on Delaware Avenue. The cemetery is on the left. Graceland Cemetery was established in May 1902. It is actually within the current Albany City limits, but it was once a part of Normansville. 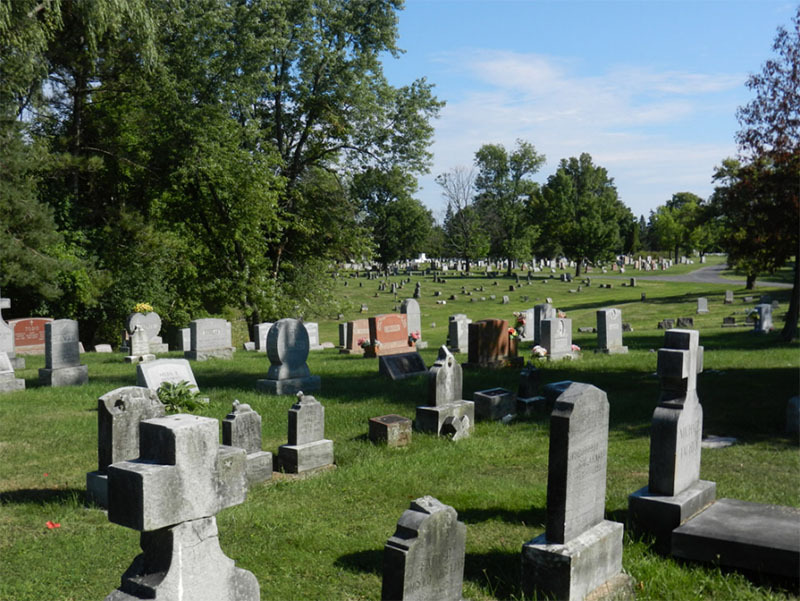 WIth over 228 acres, it is a very large cemetery still in use. Graceland Cemetery is also the site of a Spanish-American War Memorial. Records published here were acquired from Graceland Cemetery on October 31, 2016. Dates of death range from 1874 to 2016.